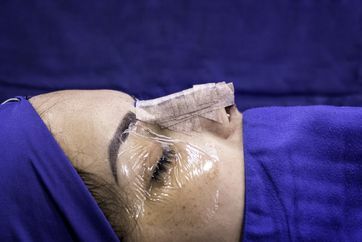 See the ratings of Plastic Surgeons in other locations. SCORE: The "score" column for each review site lists the average score assigned to that doctor by the people who posted ratings on that review website. Each site uses a scale from 1-5, with 5 being the highest rating possible. #: The "#" column lists the number of reviewers who posted ratings and reviews for each doctor on each review site. TOTAL: The "Total" column is the product of the score and the number of reviewers. GRAND TOTAL: The "Grand Total" column is the sum of the "Total" scores from each review site. 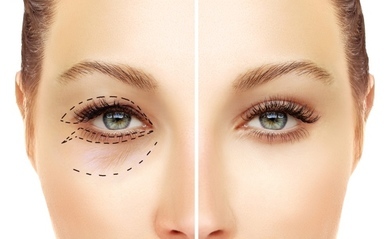 Plastic surgeons are listed in order of their Grand Total Scores, from highest to lowest, within each section. GREEN Grand Total Boxes: Grand Total Boxes are colored GREEN when the doctor received average scores of 4.0 or higher from each of the ratings sites that reported ratings for the doctor. YELLOW Grand Total Boxes: Grand Total Boxes are colored YELLOW when the doctor received an average score of 3.0-3.9 from at least one of the ratings sites. RED Grand Total Boxes: Grand Total Boxes are colored RED when the doctor received an average score of 1.0 to 2.9 from at least one of the ratings sites. 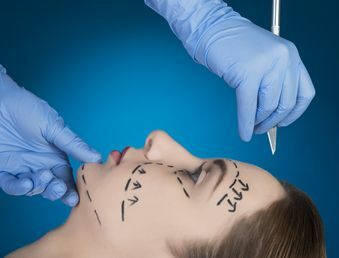 GREEN Section: The plastic surgeons who received average ratings of 4.0 or higher from all source sites appear in the green section and are ranked from highest to lowest Grand Total within that section. 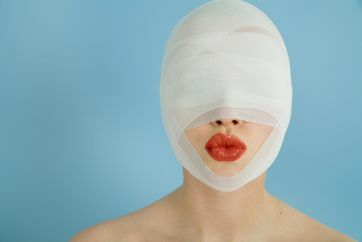 YELLOW Section: The plastic surgeons who received one or more average score of 3.0-3.9 appear in the yellow section and are ranked from highest to lowest Grand Total within that section. 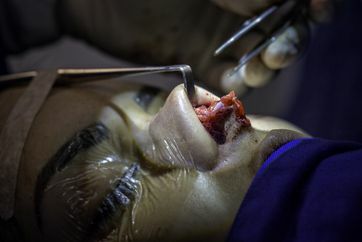 RED Section: The plastic surgeons who received one or more average score below 3.0 appear in the red section and are ranked from highest to lowest Grand Total within that section. EMPTY BOXES: Empty white boxes indicate that we were unable to find ratings for that doctor on that ratings site. There could be many reasons for this including that the ratings site used a different spelling or location for the doctor than the ones that the American Board of Plastic Surgery used; it could mean things, none of which would suggest that there is something wrong with the doctor. As such, empty boxes neither count for nor against a doctors' score on Top Plastic Surgeon Reviews. 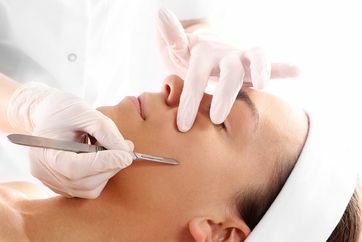 Plastic Surgeons on this Site: This website includes plastic surgeons who are certified by the American Board of Plastic Surgery. Doctors who perform plastic surgery but who are not certified by the American Board of Plastic Surgery are not included on this site. 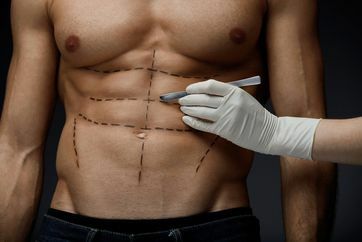 Top Plastic Surgeon Reviews uses ABPS's website to determine which plastic surgeons are certified by ABPS (vs certified by another board) and which plastic surgeons are active (vs retired). With regard to the latter, ABPS' website is not infallible, so we sometimes include plastic surgeons who are retired, but who are still listed as active by ABPS. Evidently, retiring plastic surgeons routinely fail to notify the ABPS (as well as the ratings websites) that they have retired, so their inclusion on this site is inevitable unless we are informed otherwise. If you are aware that any of the plastic surgeons listed above have retired, then please let us know so that we may update our database. Ratings Sites: There are sites beyond those listed here which provide physician reviews, but not all review sites could be included for practical reasons. 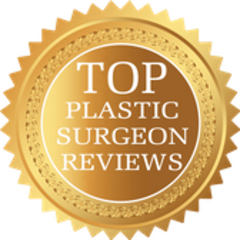 The plastic surgery review sites which, in the opinion of TopPlasticSurgeonReviews.com, are the most popular and most pertinent were selected for this website. 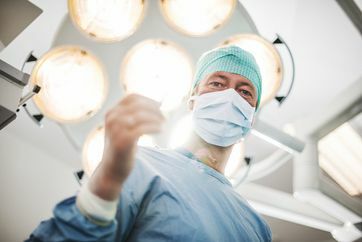 We have observed that the ratings and reviews for most plastic surgeons tend to be consistent across all ratings sites, so inclusion of additional sites would not likely change the ratings for most plastic surgeons in a significant way. Few Ratings: Keep in mind that if a doctor has few ratings, this does not mean that the doctor is not a competent plastic surgeon. 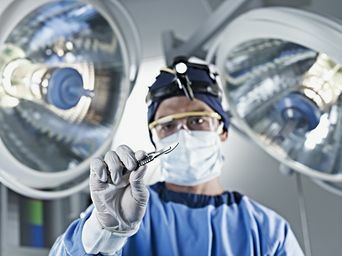 It may mean that the doctor does not perform as much surgery as the other doctors, or that the doctor has not been in practice as long, or that the doctor patients do not typically write online reviews, or a variety of other reasons. Low Ratings: If a doctor has received ratings that placed the doctor in the yellow or red section, this also does not mean that s/he is not a good plastic surgeon. All it means is that they have one or more unfavorable ratings. 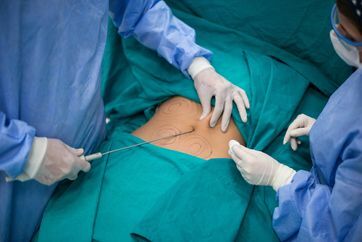 And there are many reasons why good doctors can sometimes have unfavorable ratings including the following: 1) A complication or bad result (all plastic surgeons have them) which caused a patient to write one or more bad reviews. This may not mean that the doctor did anything wrong, even though the patient thought so. 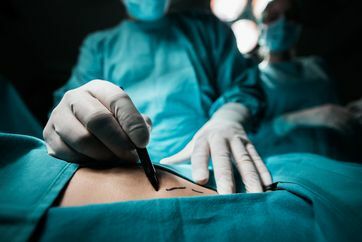 In other words, the same complications could have occurred no matter which plastic surgeon operated on the patient who wrote the unfavorable review(s). 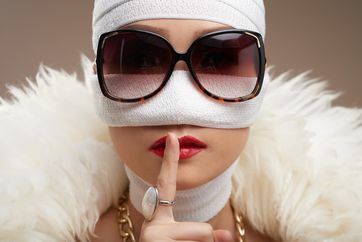 2) Bad reviews placed fraudulently by someone wishing to damage the plastic surgeon's reputation (yes, this happens). 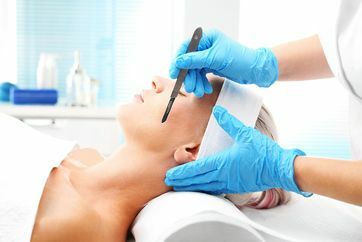 In these cases, the plastic surgeon typically has little recourse with the ratings site, and they cannot do anything about it. 3) Misplaced ratings: There are cases in which a patient unintentionally rated the wrong doctor due to commonality of one doctor's name with another's. These situations are most obvious when the patient includes details of care indicating that the care was in a specialty different than that of the doctor who received the rating. 4) Occasionally, a doctor receives a glowing review and only one out of five stars from the patient who wrote the review. In these cases, the patient might have been thinking "#1" for "first place," but no one will ever know. In these situations the doctor's average score is pulled down by the rating, even though it should have been raised by receiving a high rating. There are many reasons why a low score does not necessarily correlate with the care that a doctor delivers. This is why visitors to this site should not attempt to read anything into a low score. Visitors should instead use this site as a gateway to the source sites (Vitals.com, Healthgrades.com, Realself.com, and Google.com) to see the ratings and read all of the reviews themselves. By visiting the source sites, a visitor will much more easily be able to interpret the validity of all scores.